On Saturday, October 31st, most people will be celebrating Halloween. As Protestants and Baptist, we have some far greater to celebrate, Reformation Day. On October 31, 1517 the German monk, Martin Luther nailed the 95 thesis to the door of the Wittenberg church. With his little document, Luther began the protestant reformation, a movement that refocused God’s church on the gospel and the authority of the Bible. First Baptist Church Eastman exists today because men like Luther were willing to sacrifice everything for the advancement of the truth. This year FBCE will be Celebrating Reformation Day by looking at the life of Dietrich Bonhoeffer. 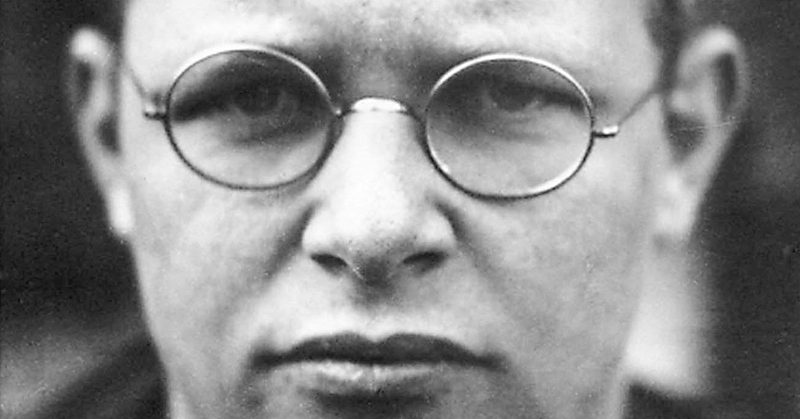 As Luther before him, Bonhoeffer championed the doctrines of grace. He refused to abandon the gospel even when faced with imprisonment and death at the hands of Adolf Hitler. Make plans to be a part of this year reformation festival on Wednesday October 28 from 6:30-8:00 pm. The event will be similar to an open house or fall festival. It will feature games, crafts and play depicting Bonhoeffer’s last sermon.Come in your best WW II gear and get ready to learn about the Pastor who fought the Nazis. Kids are asked to attend with their parents.